Let's say you expired me. Another thing, I made a portuguese version of yours "Not All Pokemon are Created Equal." My last review was Latios. I liked mawile since gen III, but she was never a good steel type to put in a team, well, with aggron and scizor in your team, why would you put a mawile on it ? About the fairy type ? Well, I was happy with her new type, but the mega form..why they didn´t made a proper evolution ? She´s not weird, she just a pokemon based on a youkai, now, to make her steel type, now THAT is weird. Do you like Mawile ? Just pointing out that like three new chapters of Kongo Banchou were just released, in case you didn't notice. I sure wouldn't have. 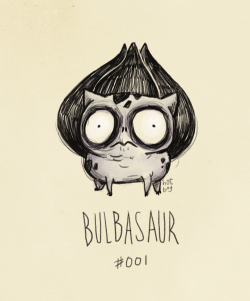 Pokémon reinterpreted in Tim Burton Style! I miss your it'smangababy blog. But as long as NAPACE is still running, I'm happy!